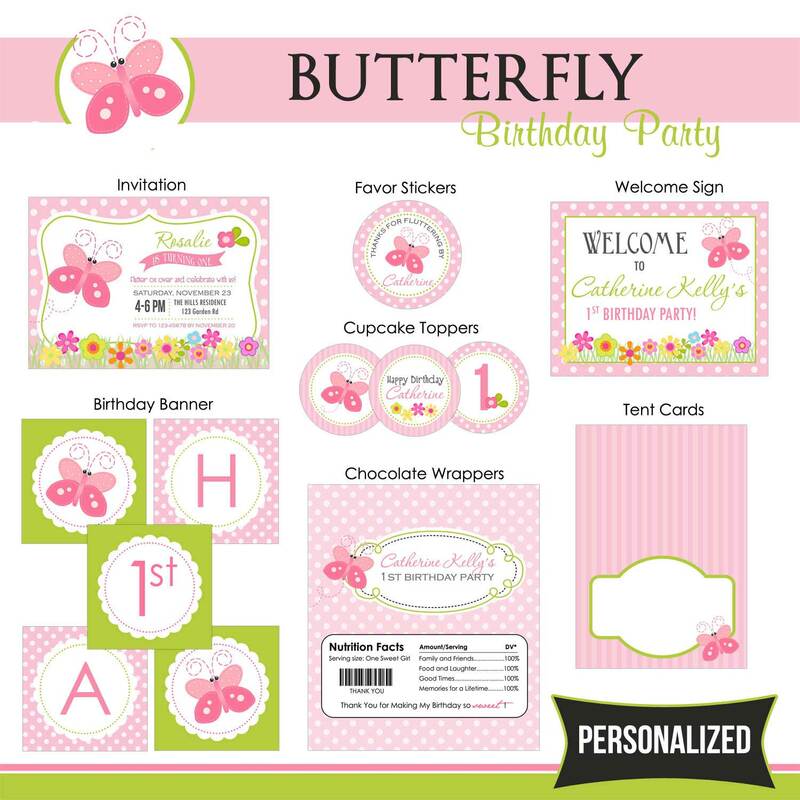 Butterfly garden birthday party package for girls. This package includes everything you need for a coordinating party! Need more items not listed here? Contact us for a custom package! Personalized party items for that perfect themed party. Make your occasion memorable with our unique and affordable party packages, be it for kids birthday party or baby full month celebration.